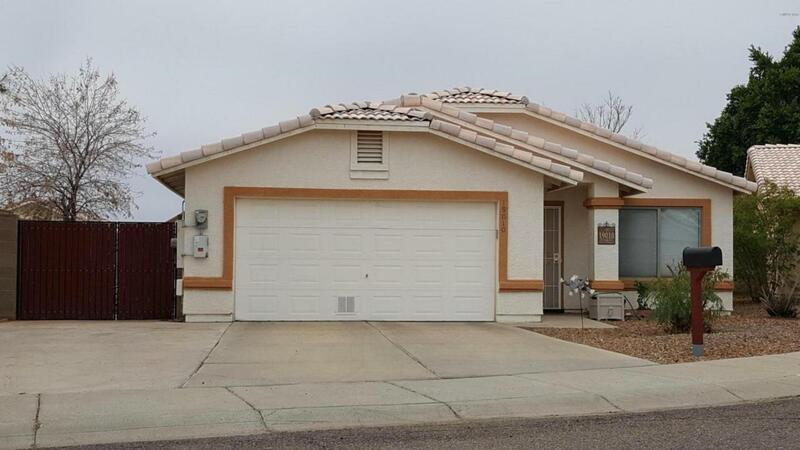 This 3 Bedroom, 2 bath, has a desirable floor plan and is located in a cul-de-sac. Highlights are: **Master Bedroom suite is complete with double sinks, walk-in closet, private toilet room & sliding glass doors to the patio. 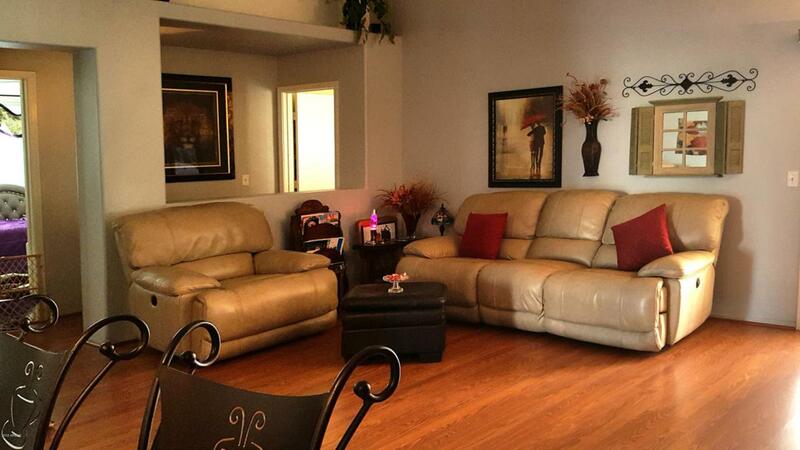 *Beautiful wood floors,tile & carpeting throughout. * Ceiling Fans, custom Lighting & niches * Spacious Family Room opens into the Kitchen * Well designed kitchen with center island/seating that opens into the Family Room * Counter space & cabinets are plentiful *Bright & Cheery Dining Room with a picture window & view, great for entertaining ** RV Gate & parking ** No HOA! 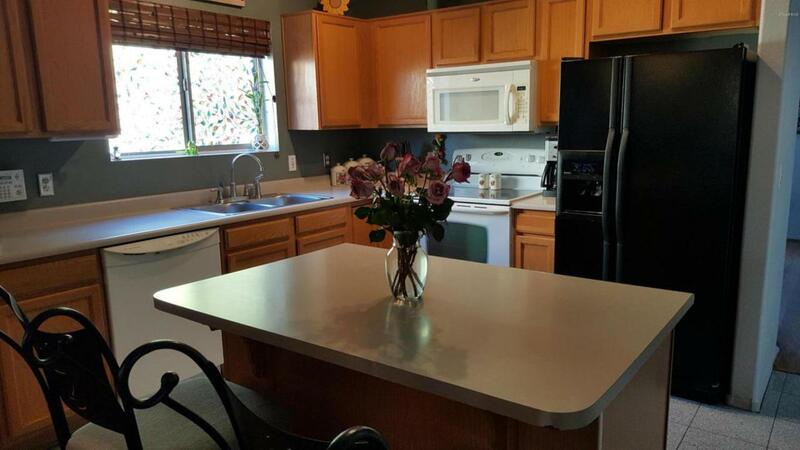 *Well maintained sparkling heated pool & spa*. Storage & garden area too!Heres whats new. 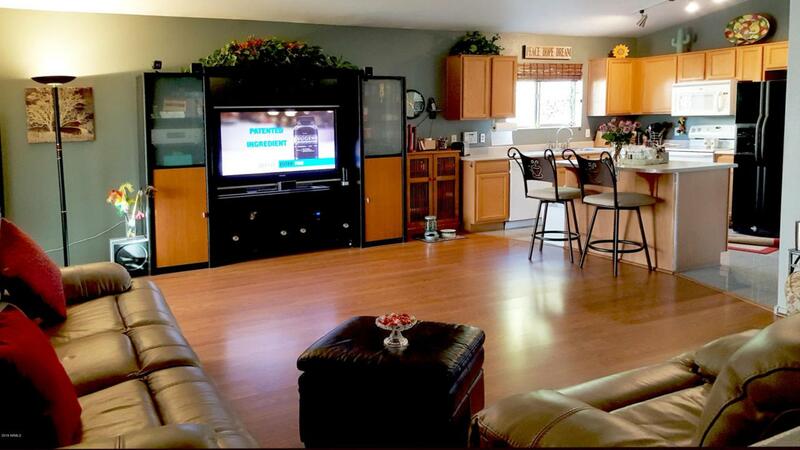 Wood flooring, new carpet, Tract lighting, new faucet in the kitchen and both bathrooms, updated both bathroom showers with glass door enclosures, New Sunshades, Heated pool with lights, RV gate & RV Parking, No HOA, Shed, Room for 6 car parking, Cul-De-Sac and large lot.